He’s heard all the chatter about how good he is right now and how much better he’s projected to become. 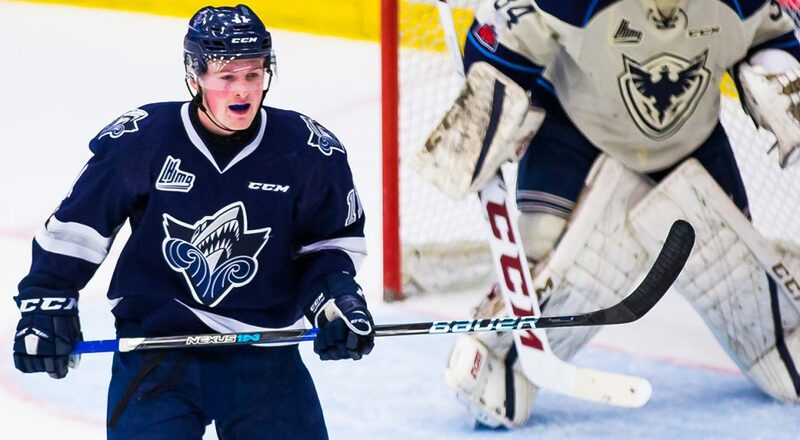 It’s something that’s hard for Alexis Lafreniere to ignore when he’s already being touted as a future first overall NHL Draft pick – not for this year, or even next, but in 2020. There are even endless comparisons to Sidney Crosby, who shares the distinction of being a No. 1 pick by the QMJHL’s Rimouski Oceanic. Lafreniere was the youngest but highest-scoring player at Canada’s world under-18 championship training camp last week. Canada’s tournament begins Thursday in Russia against the powerful Americans. Hockey Canada waited until the second round of the CHL playoffs were complete before setting a roster for the opener, and only 2000-born players were being assured of selection. However, coach Don Hay said Lafreniere impressed early in camp and added he wouldn’t hesitate to give roster spots to younger players if they’re deserving. Lafreniere then went out and netted a goal and added an assist in Canada’s first pre-tournament game, a 5-0 win over Slovakia on Sunday. He scored again in the final tune-up match, a 3-2 victory over Finland on Monday, to secure his place on the team. His track record shouldn’t have left any doubt anyway. Lafreniere was drafted first overall by Rimouski in 2017 after an 83-point effort with his hometown midget AAA Saint-Eustache Vikings. In his rookie QMJHL season he scored 42 goals as a 16-year-old — something no ‘Q’ player had done since Crosby. So, it’s not surprising Lafreniere is being mentioned in the same breath as Crosby, especially given the Rimouski connection. “He’s who he is. He’s Lafreniere,” Renaud said. “He’s gonna evolve into himself. It’s not fair to compare him to anybody right at this point in time. He’s just 16. But as a 16-year-old player, he was something to see this year. I’m really excited to have the chance to coach him. Defending against Lafreniere requires the attention of every player on the ice, Renaud added. Matching him one-on-one is a losing battle. When he does break through to get an unfettered chance, it’s a frightening proposition for the man in net. “You never know what he’s going to do,” Ellis said. “He’s got a lot of tricks up his sleeve. It’s definitely a challenge every time he comes down on ya. Lafreniere is quick to defer credit for his success to his coaches and teammates, particularly his over-age centreman and former Philadelphia Flyers prospect Samuel Dove-McFalls. Lafreniere’s goal and point totals ranked second in QMJHL rookie scoring. The player ahead of him by two in each category was Halifax Mooseheads winger Filip Zadina – a projected top-five pick in the 2018 NHL Draft who’s two years older. It seems like Lafreniere has taken a good first step towards the 2020 draft. There are areas in which Lafreniere can improve. Skating, shooting, and developing a consistent work ethic come to mind for Renaud. His hockey sense, however, needs little tweaking. “He sees everything on the ice, with and without the puck,” Renaud said. “When he has the puck, he can see open players that normally no one would be able to see. Without the puck, he’s able to find that free ice, open space, and get open and create offence out of nothing. Sounds like No. 87, doesn’t it?